To make you publish your created flipbooks online more conveniently, we developed Upload Online Service. With using the service, you can upload or batch upload your book(s) online instantly after creating, no FTP or other upload tool needed. You can easy manage your books, and make people easy view your book in browser of PC, Mac, iPhone, iPad and Android devices. 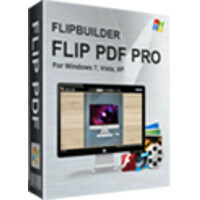 FlipBuilder Shopping Cart enables you sell PDF ebook on your website, eBay, MySpace, Google Base, Craigslist and other websites using PayPal Payments Standard, PayPal Payments Advanced, PayPal Payments Pro, PayPal Payflow Pro For merchants selling ebooks, we automate and secure the digital delivery of ebook and codes. In Flip PDF Pro, you cannot only choose flash preloader for your book, but can also use different templates to present flipbooks with different layout and tool bar features, you can also customize your stylish eBooks with dozens of template settings. Multiple pre-designed Templates, Themes, Scenes and Backgrounds for you to use directly. And you can also add plugin to the book: banner, news rotator, image slider, music player, YouTube video banner, etc. There are also many online resources available now: multiple templates, 400+ themes, 200+ scenes and 700+ backgrounds. More stunning and amazing templates and other resourses will be published in future. While using Flip PDF Professional, you can edit pages of your flipbook easily. First, you can use Page Control Panel to add, delete, re-order PDF pages. And in Edit Page interface, you can add text on pages with defining text font, effect and actions, insert different shapes into pages, including lines, Ellipse, Rectangle and Highlight area. Besides, you can easy manage pages in existing project, like adding PDF, SWF, Image pages, or remove selected pages, even reorder pages. Want to put a native Flash or video file into the page-flipping eBook you are creating? YOU CAN! Would you like to add active links on the eBook without using the link edit tool of Acrobat Pro? YOU CAN! Flip PDF Pro allows you to embed multimedia objects on imported PDF pages directly, including links, images, movies, YouTube videos, Vimeo videos, sounds, buttons, Printable area and Flash files! Besides single and batch conversion modes, Flip PDF Pro also provides a Command Line mode to help you to automate the creation of the Flash eBooks without opening the Windows desktop application. The Command Line mode allows you to custom set multiple details. You can perform your conversions with ease! What's more, you can now use Hot Directory Service for free. The service version can monitor the folders and create flipbook automatically. In the new version of Flip PDF Pro, you can record audio for your pages with synchronized text integrated into your book, or you can even apply your existing audio files directly for all pages of your book. This new Assistant feature will be very useful for you to build presentation for meeting, story books for kids, or language books for learning, etc..
Flip PDF Pro provides different ways for you to share your page-flipping eBooks. You can publish HTML format eBooks online without website domain limitations or paying royalty fees. You can also distribute your publications using Email, CD/DVD or Flash-drivers in ZIP, Mac App, FBR (can be easy read offline with free Flip Reader), Mobile (iPhone, iPad, iPod Touch, and even Android-powered devices) or EXE format. Besides, you can directly publish the flipbook to your FTP server , Email to your readers or create *.scr format flip book to use as Screen Saver. In addition, you can publish the flipbook as WordPress plugin, Joomla & Drupal module directly. If you have a Google Analytics account, you can make use of Flip PDF Pro’s built-in functionality Google Analytics Embedding. The code of Google Analytics can be embedded to each book and all statistics will be available from your Google Analytics account live. Create, design, control and increase your marketing effectiveness using Google Analytics within the publications. To help you show all your eBooks created with Flip PDF Pro, you can use BookCase tool to build wonderful and realistic library now! All books published on FlipBuilder Server can be collected and shown in your bookcase automatically. Design unique style bookcase and insert your company and contact info, you can even show photo gallery in BookCase page. The page-flip ebooks created by Flip PDF Pro integrated with modern social networks can help to make more and more people know and share your book online. All readers can share book links with others in Facebook and Twitter, or send links out via e-mail, and even embed your flipbook publication into their own sites.